I spend a lot of time texting with my friends. Is it possible to be addicted to texting? Posted August 13, 2015 under Ask Us. Put your phone away during dinner with your family or friends, and focus on real conversations. Don’t go to bed with your phone, as it can disrupt your sleep—charge it overnight in a different room. Take a break as soon as you notice any hand or arm pain, or if your eyes are bothering you. Make sure that you have face to face “real” interactions with your friends, and not just texting. If you feel that your texting is getting in the way of other activities that you would like to do, talk with a trusted adult and make an appointment with your health care provider. 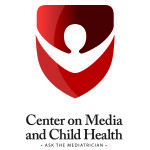 If you have other questions about social media, Ask the Mediatrician. I know a lot of people who are sexting. Is sexting okay?